This is the latest in the highly acclaimed Vesuvius series by the upmarket British tuning outfit. 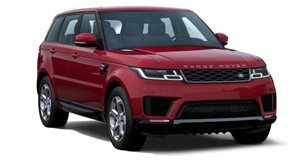 The elite British aftermarket specialist has just revealed their latest Range Rover styling package dubbed the Range Rover Sport Vesuvius, a name they conceived back in 2005. Finished in a special version of Range Rover&apos;s orange, the latest package includes exterior and interior enhancements, as well as some extra features including a set of Kahn wheels. The Kahn LE exterior kit has been used for the Vesuvius, which includes a wide track aerodynamic styling package. This consists of vented wide wheel arches and integrated LED daytime running lights, a quad stainless steel exhaust system, liquid gold calipers, RS front grille with a 3D mesh, a carbon-fiber grille insert, exhaust side vents and Kahn branding. Details on the paintjob include pearl grey door handles, Vesuvius orange side vents and a grille surround. Under the hood, the 3.0-liter SDV6 diesel engine has been tweaked to deliver 256hp and 443lb-ft of torque, and is linked to a new ZF 8HP70, eight-speed automatic transmission. A Drive Select rotary gear shift and steering wheel-mounted paddle shifters have also been fitted. Inside, the Kahn LE interior package can be found, consisting of bespoke RS front and rear seats in diamond-quilted perforated black leather with orange inserts, carbon-fiber interior fascia trim, diamond gear selector, a red speedo & rev counter, Churchill time clock with Swarovski diamond bezel and Kahn illuminated sill plates. 22-inch Kahn RS wheels sit on all four corners and can be finished in a choice of colors, fitting all original center caps. This particular Kahn Vesuvius is priced at £73,875.